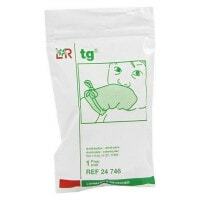 Tubular bandages are often used for securing wraps and as underlays for casts. 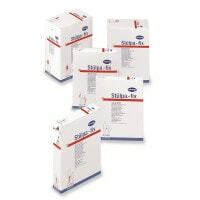 With Praxisdienst, you will find a large selection of highly-elastic tubular bandages. from 65,25 EUR* Not ready for shipping. Reserve today and we will ship as soon as possible. 10,85 EUR* Not ready for shipping. Reserve today and we will ship as soon as possible. from 3,09 EUR* Not ready for shipping. Reserve today and we will ship as soon as possible. from 71,49 EUR* Not ready for shipping. Reserve today and we will ship as soon as possible. 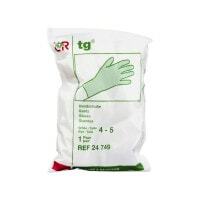 from 4,85 EUR* Not ready for shipping. Reserve today and we will ship as soon as possible. 3,50 EUR* Not ready for shipping. Reserve today and we will ship as soon as possible. 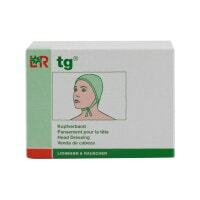 12,25 EUR* Not ready for shipping. Reserve today and we will ship as soon as possible. from 61,85 EUR* Not ready for shipping. Reserve today and we will ship as soon as possible. 49,54 EUR* Not ready for shipping. Reserve today and we will ship as soon as possible. 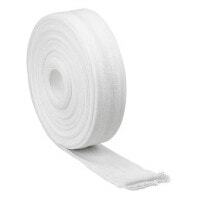 Tubular bandages are dressing materials designed for securing wraps and wound covers, which excel through simple manipulation. 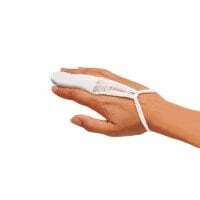 Especially when it comes to wraps that require consistent maintenance, the use of a tubular bandage becomes particularly convenient. 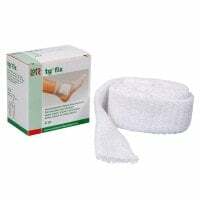 With the proper wrapping technique, changing the wound cover does not require the exchange of the entire wrap, but rather it is enough to simply lift the tubular bandage and exchange the dressing. 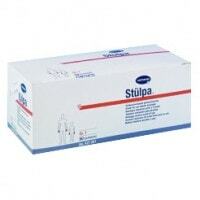 Tubular bandages are typically non-sterile and usually comes into use for skin protection e.g. 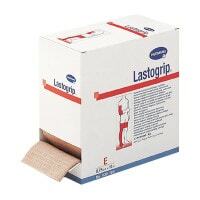 as an underlay for casts or compression wraps. 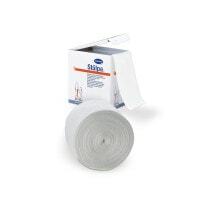 In this category, you will find our assortment of highly-elastic tubular bandages from name brands and manufacturers, such as Stülpa from Paul Hartmann, Elastofix from BSN medical or MaiMed. 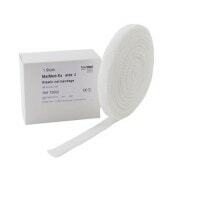 The highly-elastic tubular bandages are available in all common sizes, as ready-to-use and rolled, for splints, finger wraps, hand, leg or head wraps, as well as body wraps. 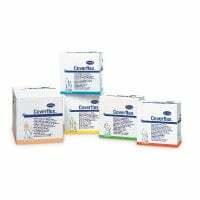 Specially designed for moisture medicated treatment of neurodermitis patients, we offer you the Coverflex tubular bandage from Hartmann. 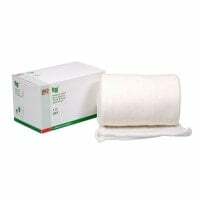 This tubular bandage is made of thick, ointment-like material and prevents ointments and creams from seeping through. 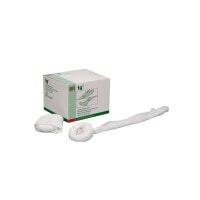 This helps the Coverflex reliably protect the clothes from soiling. 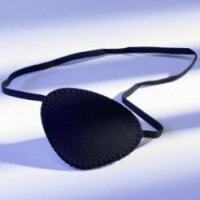 Further in the category «Tubular Bandages», you will also find eye patches and ear wraps. 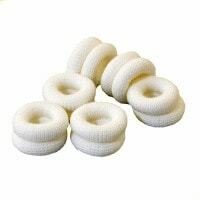 You may also order compatible accessories for tubular bandages, as well as other dressing materials the category Dressing Materials.